In the late 1870’s, an Englishman named Henry Crookenden left a last will and testament directing his executor to give his corpse to a friend, Eliza, to be disposed of in accordance with a letter of direction he had provided to her. The reaction of Henry’s wife to this arrangement is not known, nor is the precise relationship between Henry and Eliza, but Henry’s wife and the executor arranged to have Henry’s body buried without Eliza’s involvement. The wishes set out in the letter of direction, known only to Eliza, were ignored. Eliza, not to be thwarted, forged papers to exhume the body two years after his death. Henry’s wife caught wind of that plan and tried to stop Eliza, but was six days too late. Eliza had already removed the body from the grave and spirited it away with her aboard a ship to Italy. Without modern refrigeration, or today’s more effective embalming techniques, the trip could not have been a pleasant one. In Italy, Eliza followed the wishes that Henry had expressed in the letter of direction. She had the body burned in a wood fire – cremation was not widely practiced in England and this, by itself, would have created a small stir. She then collected the bones and other fragments that had not been consumed by the fire and placed them in a Wedgwood, earthenware vase provided to her by Henry for that purpose. 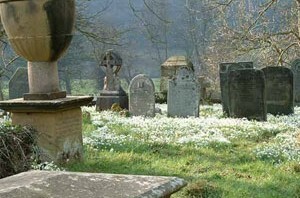 She completed Henry’s wishes by burying the vase in consecrated ground. On her return to England, Eliza asked the executor of Henry’s estate to reimburse her expenses. They amounted to £321 — a huge sum of money in those days. The executor said “no.” Eliza sued the estate, and the 1882 decision Williams vs. Williams is still quoted by judges in England and Canada as an integral part of the law governing the disposal of human remains. You cannot make a binding arrangement to deal with your remains. You can dispose of all of your worldly goods under your will, but cannot dispose of your body. Why not? The corpse does not form part of the estate. No one owns it. The executor has the exclusive legal authority to dispose of the deceased’s body, not the family, not the deceased. While the executor doesn’t own the body, he or she is legally entitled to control arrangements for its disposal. To ensure that your wishes are followed, make them known to your executor. You can do that verbally or, better still, in writing. Your wishes can also be expressed in the will, but warn your executor to look at the will before making arrangements. Most executors follow the deceased’s known wishes. Sometimes those wishes are disregarded. The chief reason is pressure from the family. It is a good idea, therefore, to pre-clear wishes with your immediate family. An executor may also be legally forced to disregard a deceased’s wishes if they are too expensive. There is a limit on what an executor can spend. If the deceased dies rich, the executor can spend big. John Fuller died in 1834 and was buried in a pyramid shaped mausoleum sitting in a chair with a glass of claret in his lifeless hand. If a deceased dies with more modest financial means, the executor is forced to make correspondingly modest arrangements for the disposal of the remains. An executor who overspends can be forced by the beneficiaries of the estate to foot the bill personally. If your wishes are going to be expensive, or you are simply worried about family pressure, consider making prepaid arrangements in advance. This puts the shoe on the other foot: an executor who disregards the prepaid arrangements and pays for something different can find themselves personally on the hook for the cost of the alternate arrangements. That is strong motivation to stick with the arrangements made by the deceased. An executor may also be forced to disregard a deceased’s wishes if they are illegal or outrageously out of the ordinary. Consider the reputed tale of a fellow in England who, within the last century, left directions to have a steel stake driven through his heart after his death (believing, apparently, in vampires). His executor disregarded those wishes. What became of Eliza? Because the executor, not Henry, governed Henry’s body, the judge ruled that Eliza was not entitled to reimbursement for her trip to Italy to carry out his wishes. Next week’s column: planning a surprise for the kids. John Poyser practices as a wills and estate lawyer with The Wealth and Estate Law Group (Alberta). A former chair of the Wills, Estates and Trusts Section of the Canadian Bar Association, he co-authors a textbook for lawyers and accountants on trust and estate taxation. Contact him at (403) 613-2128 or jpoyser@welglawyers.ca , or visit www.welglawyers.ca © John E. S. Poyser 2009.